Manufacturer and distributer of the Ruslyn Cordwheel to Defense and Homeland Security under NATO stock number (NSN) 8130/661533558. NCAGE Code Z04V9. 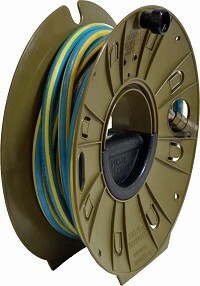 The Ruslyn Cordwheel is a rugged, lightweight, ergonomic, hand held reeling device for deployment, retrieval, handling and storage of communication cable, data cable, ADSL cable, optical fiber, radar cable, aerial cable, detonator cord, firing cable, microphone cable, speaker cable, power supply cable, geophysics cable, hose, rope and wire. Exported worldwide the Ruslyn Cordwheel meets all the requirements of ROHS, is UV stabalized, chemical resistant, fire retardant, temperature compliant and positive buoyant. Used by Army, Navy, Air Force, Special Forces, Police, Emergency Services and Homeland Security. 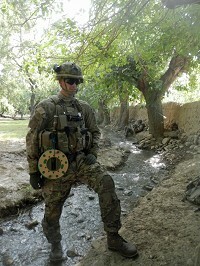 The Ruslyn Cordwheel reel is in active deployment throughout the world and has been in service with defense since 2006. The Ruslyn Pack Reel NATO stock number 8130/661596431 has been in service with defense since 2012. 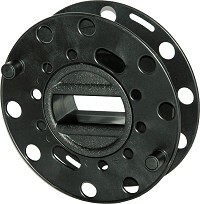 This mini reel is extremely small and lightweight. It has been specifically designed for the dismounted soldier and clearance diver for use in combat for tangle free handling of hook and line, detonator cord, shock tube, firing cable, signals cable, wire, rope and cord. 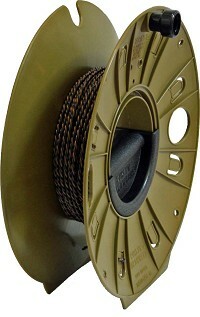 The Ruslyn Pack Reel can be fitted to a soldiers webbing or simply carried in a pack. 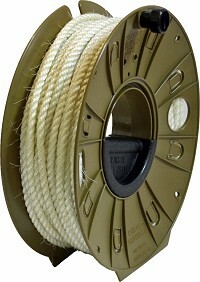 The colors of this small reel match the latest camo gear and is also available in color black. 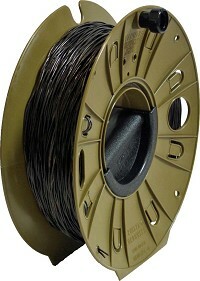 The end users of this mini reel are combat engineers, EOD, search,, signals, clearance divers and special operations. 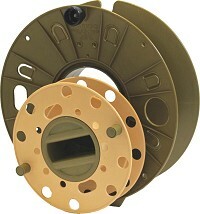 The Ruslyn pack Reel has no metallic components and meets all ROHS requirements. 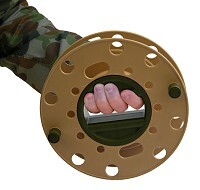 The Ruslyn Pack Reel has recently completed testing and is now approved by the US National Tactical Officers Association (NTOA) for use by Tactical Law Enforcement Officers.